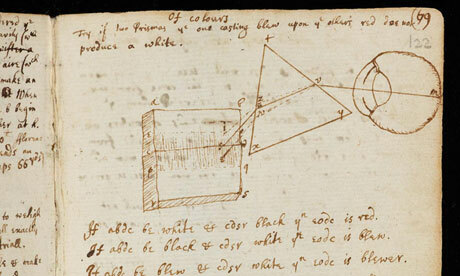 Isaac Newton’s handwritten manuscripts to be published online | UNBELIEVABLE! Handwritten work by Sir Isaac Newton is being made available to view on the internet for the very first time. Cambridge University has so far digitised over 4,000 pages of Newton’s work – but that is still only around one-fifth of the contents of Newton’s university archive. The university is publishing pages from his college notebook, as well as annotated drafts from his masterpiece, the Principia Mathematica. This is all part of a project called Cambridge Digital Library, which will make public the works of great scientists. Figures such as Darwin and Rutherford shall also have their manuscripts put online in due course for the world to see. Posted on December 13, 2011, in Physics, Technology and tagged Cambridge, Darwin, history, Isaac Newton, Physics, Principia, Rutherford. Bookmark the permalink. Leave a comment.